Are Dental implants a panacea, or should we save to save teeth? Are Dental Implants a Panacea or Should We Strive to Save Teeth? A recent article published in the January issue of The Journal of Dental Research, by noted clinicians W.V. Giannobile and N.P. Lang, addressed this important decision for and by the patient. Dental implants have become an important treatment for the replacement of teeth lost due to disease, injury, or congenital tooth agenesis. Over the past 30 years the incorporation of dental implants into everyday clinical dental practice resulted in major improvements in the oral health of our patients, through enhancements in function, esthetics, and phonetics. 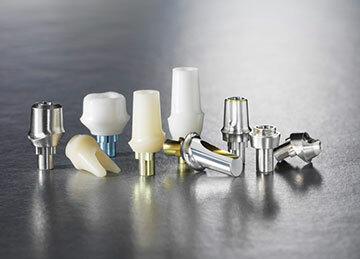 Having been clinically trained in the Branemark Clinic in Gothenburg Sweden in the 80s, with the Branemark System of Hybrid Nobelpharma Implant restorations and continue to surgically place implants; I can attest to their great success. However, adverse outcomes associated with implants have come to the forefront of discussion groups in periodontology, oral surgery, prosthodontics, and implant dentistry relating not only to prosthetic (technical) failure but also persistent infections surrounding implants. A trend affecting clinical practice over the past 2 decades has been the reduced emphasis to "save compromised teeth." In fact, studies demonstrated those with less training in periodontology and implant dentistry generally applied reduced efforts in addressing tooth retention (Lang-Hua et al. 2014). It is noted less trained individuals are often recommending tooth extraction versus retention. As such, many teeth are being condemned at early stages given the expediency that lends itself to quickly rid a problematic tooth and provide a new tooth replacement implant. It is not unusual for many practitioners to recommend tooth extraction with modest tooth-associated ailments such as caries, need for endodontic therapy, or periodontal involvement. There are many scenarios where patients are advised to get rid of the compromised tooth and get the "newer, better" implant. It has recently been advocated that practice patterns should change to retain more teeth given the excellent long-term research proven track record of successful therapy for tooth preservation. The erroneous belief of implants yielding a better long-term prognosis has now clearly been rejected in several comparative studies and systematic reviews. Teeth even compromised because of periodontal disease or endodontic problems may have a longevity that surpass by far, that of the average implant. We have been trained to preserve your teeth for your lifetime!